The new Dada Chocolate wine and Butler's Ballotin Chocolates. We're currently raving about this in the office, an initial burst of fruit with the subtle hint of chocolate in the aftertaste, delicious! 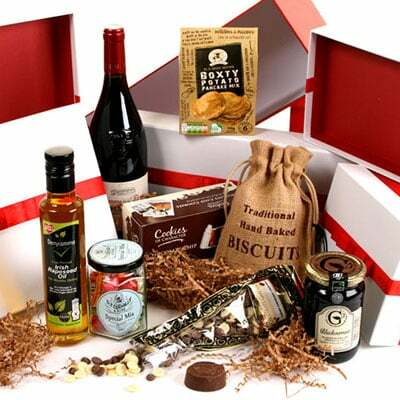 The hamper is presented in our signature gift box with sizzle.